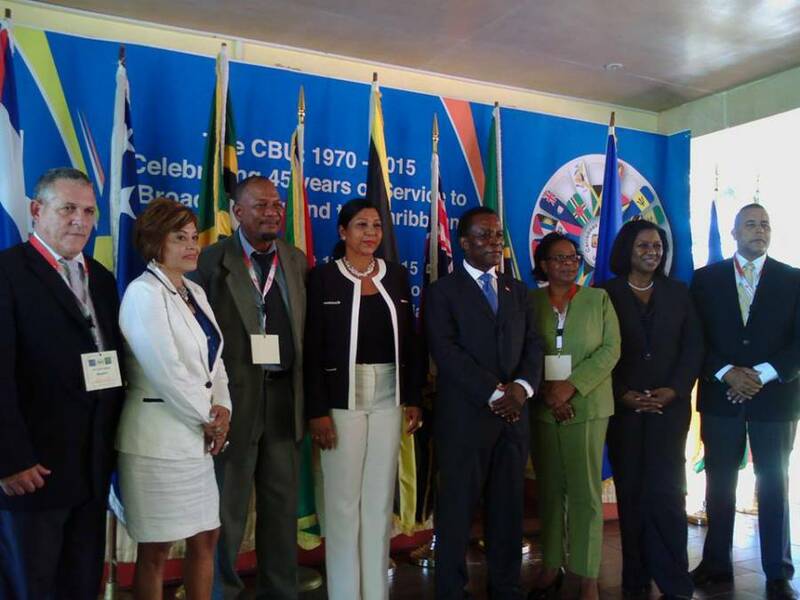 Participants at the 46th Annual General Assembly of the Caribbean Broadcasting Union have been told that they should consider sharing innovative ways to broaden the Caribbean market, and develop areas in digital and social media. “The world has moved in that direction, and it is time that we move with it for the enhancement and competitiveness of all our products, including journalism,” said Prime Minister and Information Minister, Dr Keith Mitchell, addressing the more than 100 participants, who are representing the 42 member Union whose membership is reflective of the English, French, Spanish and Dutch speaking Caribbean. Dr Mitchell said that the media industry and organizations possess the most powerful voice in the Caribbean, and these voices can have both negative and positive impact. “The onus is on you to make certain that the voice is one of professionalism, leadership, truthfulness, and intelligence. We want you to adopt best practices and policies in the best interest of your media houses. That is your right. We only ask that you do it in a fair and a responsible manner,” he urged. “Your job is not merely to be in a popularity contest. Your role is to seek the truth so as to edify the minds of the very people you are called to serve; not simply to sensationalize stories for public consumption or financial gain. This is not in the public’s interest,” he advised. The Assembly, which began on Sunday with the historical China-Caribbean media exchange session, concludes on Friday with activities for the participants organized by the Grenada Tourism Authority. This is the first time a delegation from China is participating in the Assembly, and the opportunity was used to educate regional journalists about the media landscape in China. Five media houses had the opportunity to speak about the impact on the Chinese media industry, as well as initiatives undertaken to strengthen market share by using social media. Among the topics discuss were: Programming Rights and responsibilities; Digital Transition — the Convergence of broadcasting and telecommunications and Communication Rights and Freedoms in the Caribbean; Constitutional Reform and Communications Rights in the Caribbean; the State of media freedom in the Caribbean; Digital Journalism and Media Freedom in the Caribbean and the Impact of Communications Rights on the enjoyment of all Human Rights.